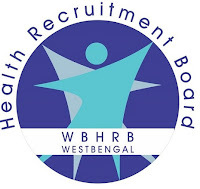 West Bengal Health Recruitment Board ( WBHRB ) has published an advertisement for 1274 Medical Officer (Specialist) Posts in different peripheral Health Institution under the Department of Health & Family Welfare, Government of West Bengal. Check the details like Qualifications, application process, notification details, application fee, how to apply are given below. Educational Qualification: MBBS degree included in the First Schedule OR Second Schedule OR Part II of the Third Schedule of the Indian Medical Council Act, 1956 (102) of 1956 with a recognized and requisite Post Graduate Qualification in the respective Speciality and registration as Medical Practitioners in the Medical Council of India, OR any State Medical Council provided that the Candidate, if appointed, must register his/her name in the West Bengal Medical Council within 6months of joining the West Bengal Health Service. Pay Scale: Rs. 15600/- - Rs. 42000/- [PB 4A, Grade Pay – Rs. 5400/- ]. How to Apply: Eligible & Interested candidates apply online through the http://www.wbhrb.in/ website.